Tamarind gives this dish an interesting boost of flavour. 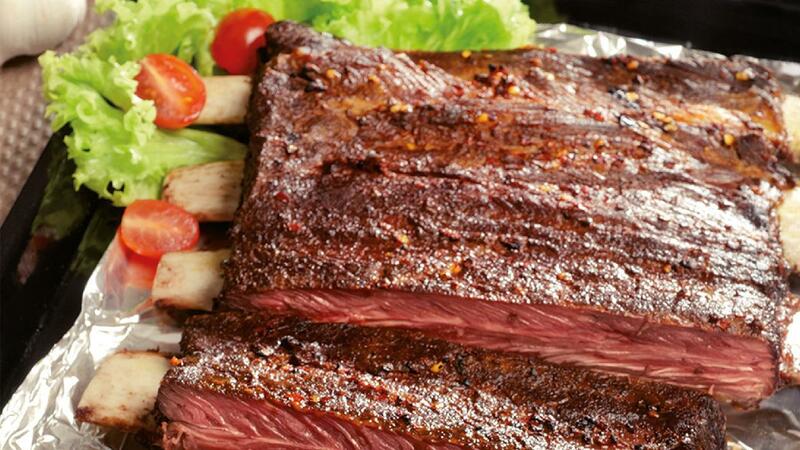 Rub Short Ribs with all the ingredients and marinate for 4 hours. Place on roasting pan, roast in pre heat oven and baked at 140° Celsius, for 120 minutes. Discard from the oven. Keep warm before assembly. Heat Planta Chef Margarine, saute garlic,shallot, chili paste and tamarind skin till fragrant. Add in filtered water, Knorr Demi-Glace Brown Sauce Mix. Bring to boil and simmer for 2 minutes. Add in salt, brown sugar and continue to simmer for another 2 minutes. Strain and keep warm before assembly. Arranged Baked Short Ribs on serving plate. Served with prepared "Tamarind Sauce".